People have often asked whether Iraq is better or worse off after the 2003 U.S. invasion. Many would have said the latter when the insurgency started immediately after the fall of Saddam Hussein, and then the country fell into civil war from 2005-2008. To complicate the matter, Saddam led Iraq down the path of a series of horrible foreign policy decisions, which devastated the economy. 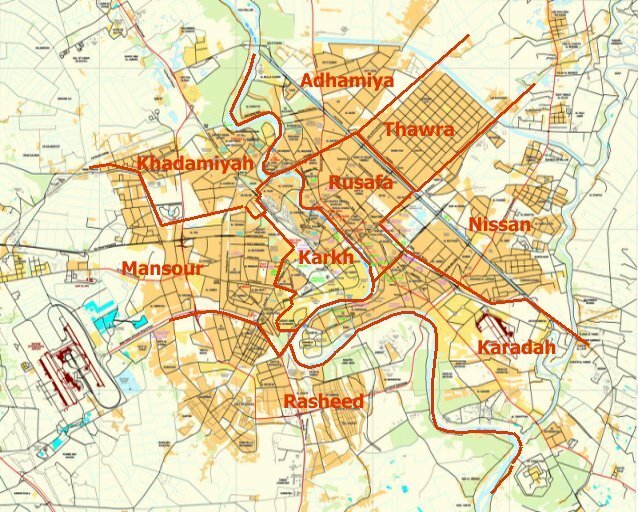 In the 1970s, Iraq was a fast growing nation where services and income were quickly rising. Then in 1980, Saddam invaded Iran, which diverted the country’s wealth to the war effort. Afterward it was left with a huge debt, and lots of war damage, but rather then rebuild, the regime decided to re-arm. Those two issues led to the 1990 invasion of Kuwait, the 1991 Gulf War, and then more than a decade of international sanctions. During that time living standards plummeted. That meant that Iraq went through nearly thirty years of economic decline even before the 2003 invasion. Now that major fighting is over, and Iraqis are going back to their normal lives it seems like as good a time as any to compare how the country is doing. Per capita Gross Domestic Product (GDP) is a deceiving number when it comes to Iraq and many of its neighbors in North Africa and the Middle East. That’s because most economies in the region are based upon oil, which does not really trickle down to the average citizen. A nation might have a very high per capita number, but the people could actually be living quite poorly. Iraq’s GDP took off in the 1970s due to the OPEC oil boycott, which raised prices on Iraq’s main export. 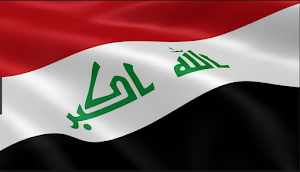 In 1979, Iraq had a per capita GDP of $4,200. By the early 1980s, just as the Iran-Iraq War started, it was still around $3,600, but by the time it was over in 1988, it was down to $1,765. The economy started recovering the next year when per capita GDP was up to$2,304, but then Iraq invaded Kuwait, and the United Nations imposed international sanctions. In 1990, the country was at a pitiful $938. In 2002, before the U.S. invasion, it was even lower at $802, which dropped to $518 the next year. Since then, the figure has slowly crept up to $949 in 2004, $1,237 in 2005, $1,720 in 2006, $1,926 in 2007, $2,845 in 2008, and $2,108 in 2009. 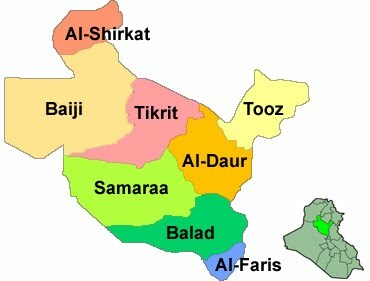 When compared to other countries in the region, Iraq was right in the middle in 2010. Gross Domestic Product Purchasing Power Parity is a way to compare costs across different countries. In 2010, Iraq was at $113.4 billion, which was better than Syria, Tunisia, Libya, Yemen, Lebanon, Jordan, and Bahrain. Again, the problem with these numbers it that they are largely based upon the price of oil. When oil production eventually took off in Iraq after 2003, and the price skyrocketed in the last few years due to tensions in the Middle East, the GDP rose as well. That meant little for actual living conditions for Iraqis however. Better statistics to see how Iraqis are doing today might be derived from looking at unemployment and people living below the poverty line. 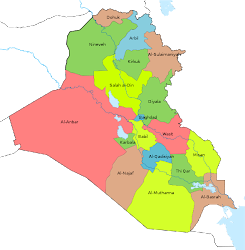 In both cases, Iraq was near the very bottom in the region. In 2009, Iraq’s official jobless rate was 15.3%, while unofficially it was 30%. Only Libya, 30%, and Yemen 35%, had worst figures, and Bahrain and Oman at 15% each were at just about the same level. That left twelve countries that were doing better employing their population. Iraq did little better with its poverty rate with 25% of the population living off of just $2 per day. That again placed it at the bottom. 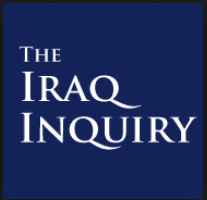 Both figures showed that despite the steady increase in per capita GDP, there were plenty of Iraqis who were struggling. Life expectancy in Iraq declined after the 2003 invasion, but has since rebounded. According to the World Bank, in 1990 Iraqis lived an average of 65 years. That went up to 71 in 1996, but then went down to 67 in 2007. By 2011, it was up to 70.55. When compared to the rest of North Africa and the Middle East however, Iraq could still not escape the basement, with only Yemen, 63.75 years, and Iran 70.06 years, doing worse. 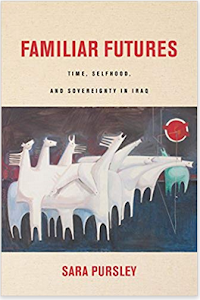 People were living longer in Iraq in the 1990s despite the sanctions, but that dropped after the U.S. invasion likely because of the disrupted economy and all the fighting. Now that both are recovering, the numbers are going back up. Infant mortality rates were a major issue in Iraq in the 1990s when the country was under United Nations sanctions. Previous to that, Iraq’s health care sector was improving, and more babies were surviving birth. In the 1980s, there were 80 deaths per 1,000 live births. (1) By 1990, that had dropped to 50 per 1,000 births. In 2001, Iraq was showing the signs of sanctions with 133 deaths per 1,000 births. Ten years later, and that was down to 41.68 deaths, the best it had been for decades. Even then, that was the third worst rate in the region showing that Iraq’s advances have still not caught it up with the majority of countries that it lives amongst. Another sector of Iraqi society that took a hit in recent decades was the education system. In 1980, nearly 100% of school-aged children were enrolled in primary school. That dropped to 91% in 1990, 85% in 2007, and then 83% in 2010. That steady drop was due to the Iran-Iraq War, the U.N. sanctions, and then the violence that beset the country after 2003. With fighting finally subsiding it is finally becoming safe for Iraqi children to attend school again, but the numbers are still declining. These figures also hide the fact that Iraq’s schools are facing major problems such as a shortage of facilities, outdated curriculum, lack of trained staff, high illiteracy, and low achievement rates. 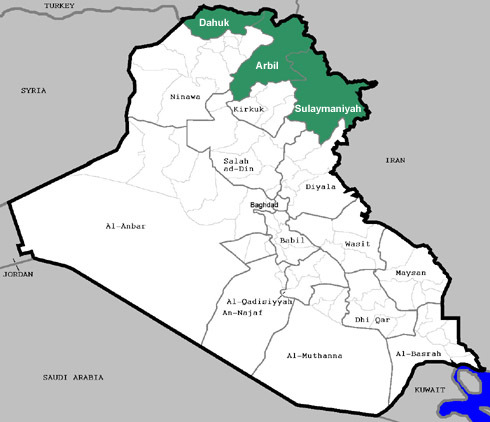 In 2011 for instance, 74.1% of Iraqis were literate, which was the fifth worst rate in the region. One of the main problems facing Iraq today is pressure from its fast-growing population. 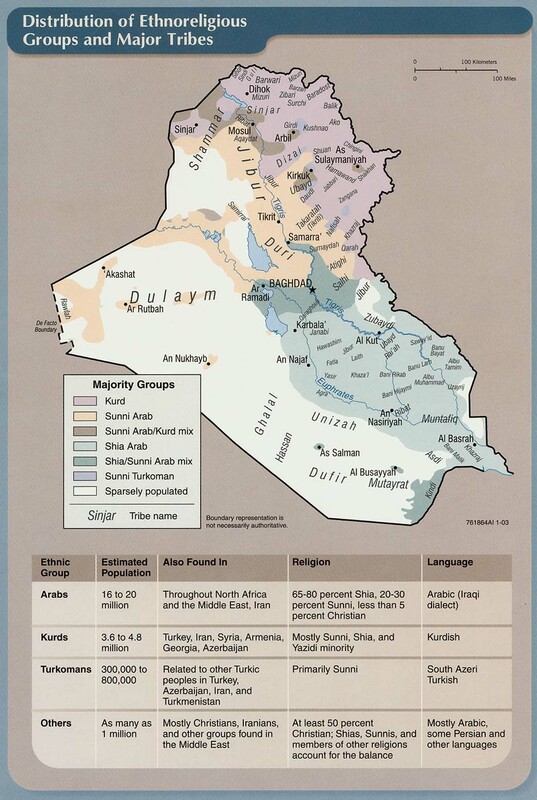 In 2011, Iraq had an estimated 30.3 million people. That was the fifth largest in the Middle East and North Africa. Not only that, but the median age was 20.9 years with 38% of the population 14 years or younger, making Iraq the second youngest populace in the region. With a popular growth rate of 2.399%, the fourth highest, and a birth rate of 28.81 per 1,000, the second highest, Iraq is going through a population boom. That is putting a huge strain upon the society. Iraq has a state-run economy. The government is the largest employer, runs most of the factories, and imports a huge amount of goods. With the biggest industry in the country, oil, only employing 1% of the population that leaves the public sector to try to take up the slack. There are thousands of people in useless government jobs as a result, but even that can’t make up for the shortfall, which is a major reason why there is high unemployment, and an even higher underemployment rate. To make matters worse, Iraq is following the regional trend of the Gulf States by importing thousands of cheap foreign workers ignoring the needs of its own population. As things currently stand, there’s no way for the economy to provide enough work opportunities for this growing and ever younger population. There is little impetus at the present time to fix anything, and ideas of creating more market forces have largely remained just talk. That could lead to large social problems down the road. 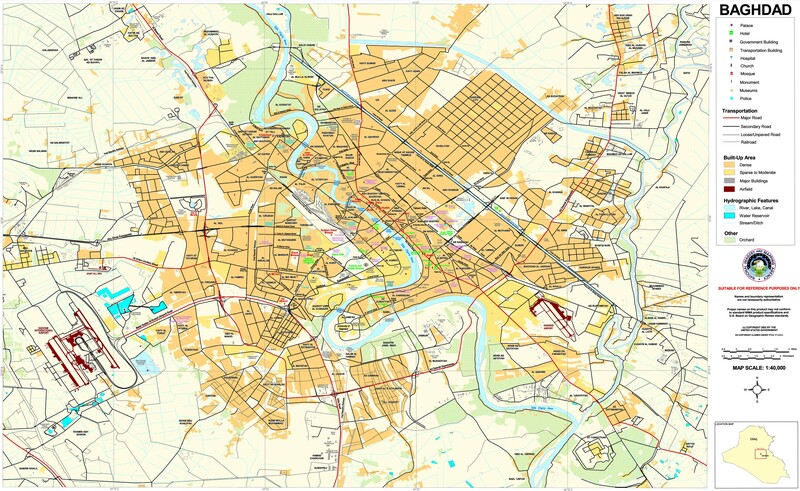 It’s hard to make an exact comparison between Iraq before and after the 2003 invasion. 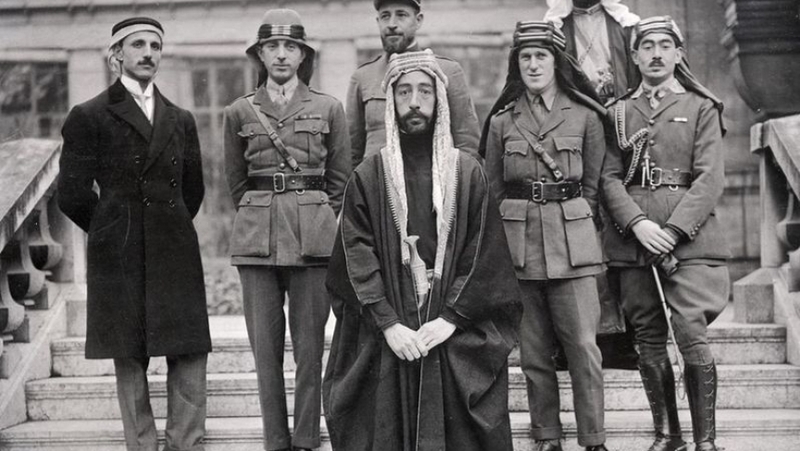 Before the fall of the former regime, most figures about Iraqi society were held as state secrets. Many numbers immediately after 2003 were also unavailable or unreliable, because the fighting made it nearly impossible to collect many statistics. Now that’s beginning to change as Iraq is returning to a state of normality even though there are still major terrorist attacks. What the figures show is a country facing many problems, but not for the assumed reasons. Rather than the invasion or war being the root cause, today the fast growing population and the flawed economy are the leading issues. The number of people in Iraq is going up and up and up, but there are not enough jobs to employ them. The state-run system means that the resources available are often mismanaged. At the same time, life expectancy and the infant mortality rate has recovered to what it was in the 1990s, but that also means more people in Iraq. The economy has to be diversified, but that’s unlikely to change as the government is almost solely focused upon boosting its oil sector, which will make it even more dependent upon petroleum than before. That means even more issues will arise in the future. I am about to sit my A2 geography exam and throughout the year have tried and tried to find some factual evidence to outline Iraq pre and post war with no success. Thank you so much - this has been very helpful and does clarify what has been quite fuzzy and in many cases incredibly biased. What Does Iraq’s Sadr Want?